A nanny in Berkeley was charged Wednesday with felony child abuse after a couple provided authorities with home surveillance video showing the woman was physically violent with their 6-month-old boy, Berkeley police said Thursday. 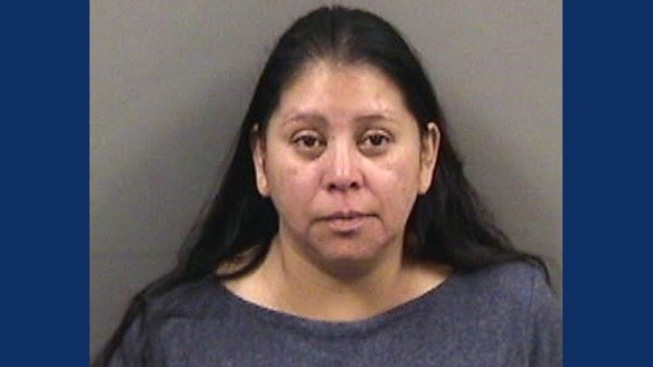 Ingrid Perez, 44, of Richmond, was arrested Monday by Berkeley police on her way to another child care job. The Alameda County District Attorney’s Office charged her with one misdemeanor and one felony count of child abuse, police said. The alleged abuse happened on Oct. 19. In court documents, police described the surveillance video turned over by the parents, writing that it appears Perez entered the infant's bedroom and hit him in the back of the head with her knuckles as if she was knocking on a door, telling him to "shh." "Perez then forcibly moved the victim to the top of the crib nearly hitting his head on the railing of the crib," investigators wrote. "She turned his head to the right and appears to shove his head into the bed with her left hand." After that, she hits him on the bottom and again in the back of the head, then appears to once again shove his head into the bed, according to court documents. The boy was taken to a hospital for treatment and was released with no apparent injuries, police said. Perez has worked as a nanny for a number of families for more than 10 years, police said. Those families have been contacted to ensure their children were not harmed. Anyone with additional information is asked to contact Detective Kelly with the Berkeley Police Department's Special Victim’s Unit at 510-981-4760.